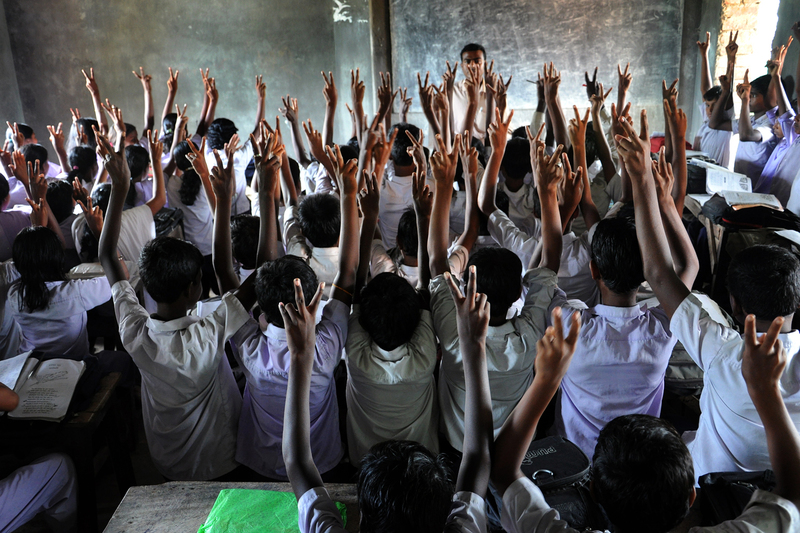 Students of a remote village school are listening to their teacher and showing a Dignified sign that they agree with him. These students are very serious in school. JOY BABATHAKUR.